Office wear – How to look professional and stylish – Tiffany Anisette Intl. When you go to work, you will probably want to create a good impression. People will judge you partly by how you act but also by how you look. First impressions count and when colleagues or customers first see you, they will make up there mind about you almost straight away. Looking professional and business like at work will not only help you to feel professional and business like but will also change the way other people speak and behave towards you. Dress codes and unwritten rules – before you even start to plan your stylish and business like outfit, you should first consider any dress codes at your place or work and also any unwritten rules. For some offices a dark coloured suit is an absolute essential for others a pair of smart trousers with a shirt or blouse is completely acceptable. Good fit – the key to looking professional and business like is wearing the right clothes that fit perfectly. This will show that you pay attention to detail and that you won’t settle for second best. Flattering – by wearing clothes that flatter your figure and colouring, you will look smarter and more professional. Work out what your body shape is and then work out what styles of trousers, skirts jackets and dresses will look best on you. Practicality – practical clothes that you look and feel comfortable in will make you appear much more confident. Tripping over in heels that you can hardly walk in will do nothing for you confidence at work so no matter how gorgeous the shoes, if you can’t comfortably walk in them, don’t wear the for work. Your handbag says a lot about you. Make sure that it is big enough for everything that you need but also easy to carry without causing yourself discomfort or injury. If you need to visit clients regularly, laptop handbags are a great idea, a really stylish and practical way to carry a laptop. Add some personality – whilst most places of work have dress codes, you can still add a bit of interest, individuality and personality to your work wear. Brightly coloured accessories are a great way to add some colour to an outfit. 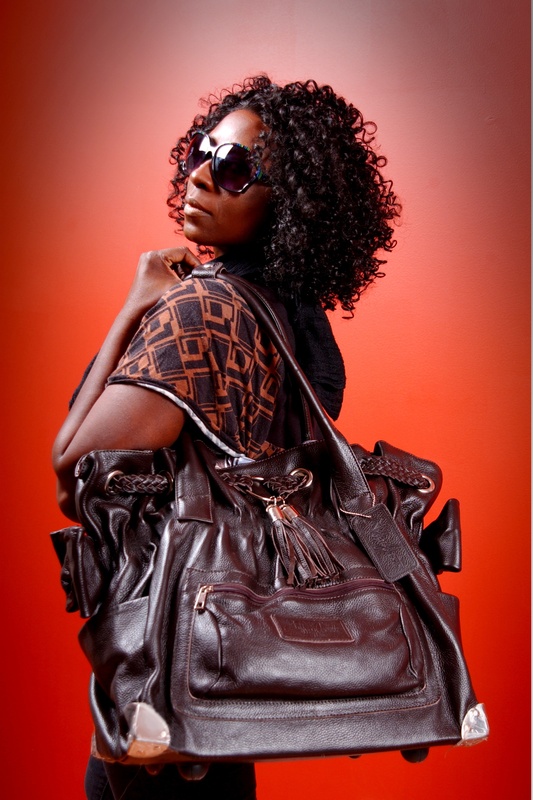 You could try carrying a eye catching red leather handbag or wearing a bold printed scarf. The Tiffany Anisette B.A.G (Business Active Girl) is the perfect addition to any office wear or business outfit. It is big enough to fit in everything that you need for work and business meetings including a laptop. It has plenty of pockets and compartments to organise your possessions including pockets to hold business cards. The B.A.G is made of finest Italian leather and will complement the most stylish business outfits. It also has wheels and an extendable handle to pull it along when it is too heavy to carry, allowing you to arrive at work in comfort with confidence and poise.